In our ever busy daily schedules, it is hardly surprising when taking calls become very difficult. A major cause to this problem is low ringtone volume. You may receive notifications or calls and end up missing them only to find out you may have missed vital information in the process. Hence, it is normal that people prefer loud ringtones – they are especially great in public area as it is easier for people to hear phone ring whenever there is a notification. How can you enjoy loud ringtone on your iPhone? Is it possible to create one? Check out below to say goodbye to missed calls by setting loud ringtones for iPhone. 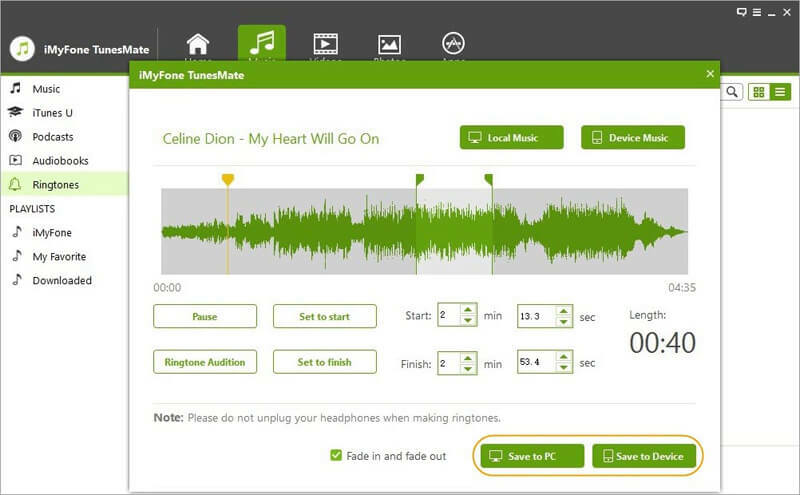 Creation loud ringtones from song stored on your iPhone or computer. Preview ringtone effect before saving created ringtone to your iPhone or computer. Seamless selective transfer ringtone from/to iPhone. 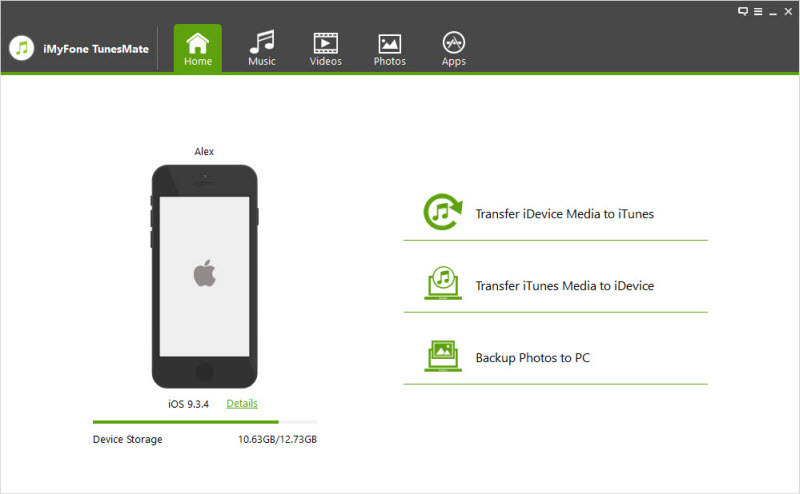 Free transfer of both purchased and non-purchased media files between your iTunes/PC and iPhone device. Back up media files to your PC, external hard drive, or computer and restore the backups at any time. Step 2Click on "Music" at the top left of your screen, select "Ringtones" from the options at the sidebar, and click on the "Ringtone Maker" tab. Step 3Select the song you prefer as your loud ringtone for your iPhone either through the "Device Music" or "Local Music" folder. You would be able to listen to the song, and set the start and end time for the ringtone. Step 4You can make use of the "Ringtone Audition" among the options at the center of your screen to preview your selected ringtone and save to either of your PC or iPhone device. Note: The "Fade in and fade out" option is always ticked by default. 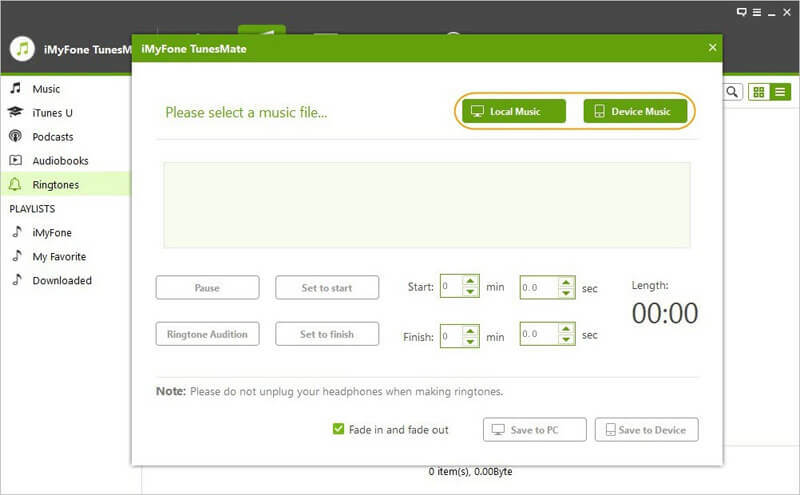 This is to ensure your created ringtone is smooth and loud enough. In this part, you are introduced to top 3 websites where you can get free loud ringtones for iPhone. 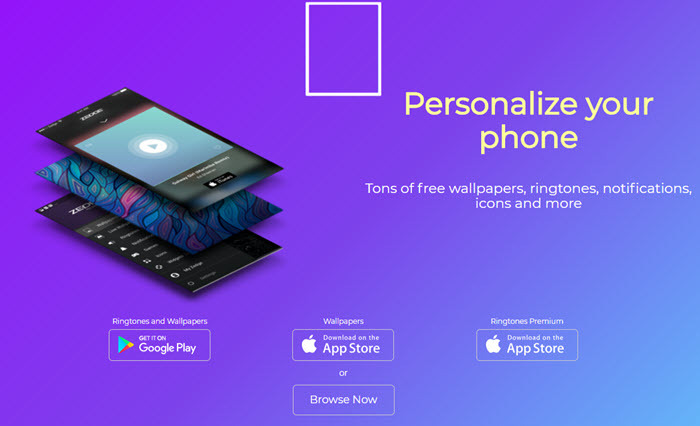 Zedge contains a wide variety of resources including ringtones, themes, and wallpapers. You would find quality loud songs for your iPhone at the "Ringtones" tab. You can select any one of them as your ringtone. Interestingly, Zedge allows you to select your preferred ringtone a different categories such as "country", "classical", "rock", etc. You can be sure to find some quality loud ringtones. In order to get these ringtones, you have three options – download them on your PC, send them to your mail, or by scanning a QR code. Zedge is indeed a great website to get free loud ringtone for your iPhone device. Mob.org offers not only a wide variety of ringtones that could suit for your loud volume need, but also quality sounds for free. Similar to Zedge, mob.org allows you to select your preferred loud ringtone under a list of artists or genres. Hence, you can download quality songs from your favorite artists just by clicking the "Download" tab on your screen or by scanning a QR code. 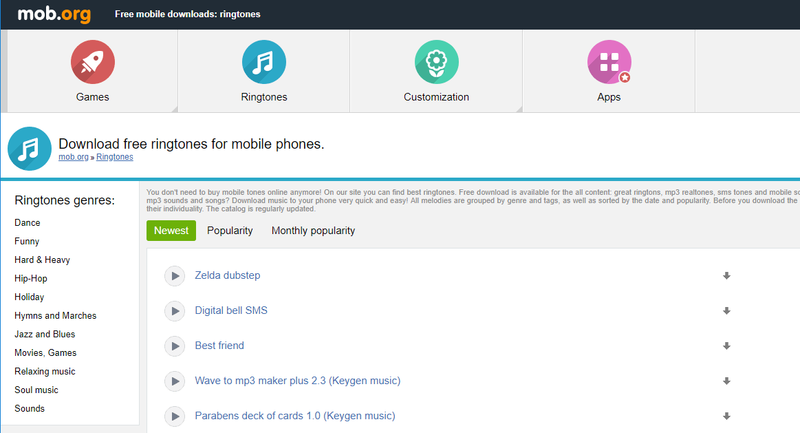 This is another great website to download loud ringtones for your iPhone – for free. You also have the luxury of selecting from a wide variety of ringtones from the selection. Interestingly, you can preview or listen to the selected sound before you download it. You can also search for the number of people that have already downloaded the song before you. 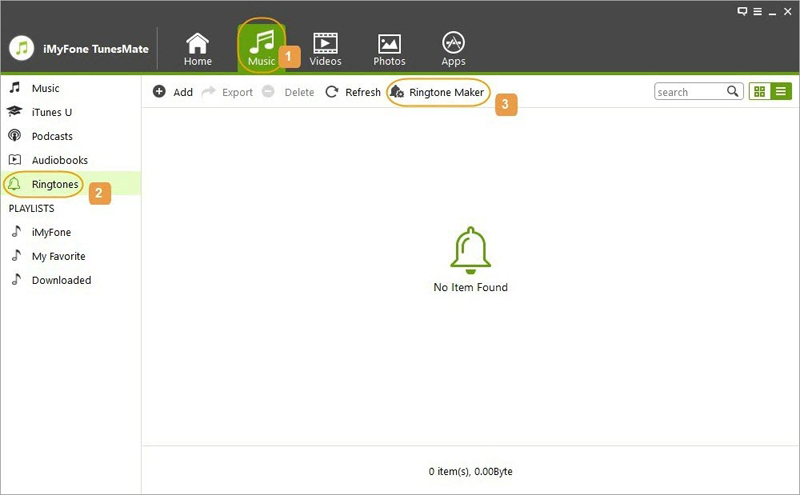 What’s more, the website allows you to manually select your preferred format for download – whether you need the ringtone in M4R or MP3 format. A loud ringtone helps to alert you when you have an incoming call or notification. Since it may not be ideal to always have your iPhone blaring and alerting everyone around, you can still adjust the settings to only alert you – only. Go to Settings > General > Accessibility, and turn of the Attention Awareness feature. This will ensure you are only alert when your phone rings, and immediately you reach out for your phone, the loud ringtone lowers. Awesome feature this is.